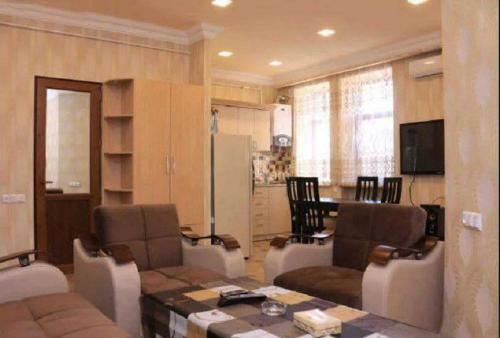 Apartment & Tours is situated in Heraci Street 10 3 in Yerevan in 2.5 km from the centre. Guests can use a whole range of services: indoor lift, internet services, convenient airport transfer, parking lot. Please note you can pay for the amenities only in cash. For guests, comfortable accommodation is offered only one room type - apartment. Each guestroom features amenities such as air conditioning, refrigerator, ironing facilities, free toiletries, microwave, washing machine, electric kettle.